Congratulations to Jasmine from Burnham-on-Sea, Somerset on passing her DAS (direct Access Scheme) mod 1 today. Jasmine progressed superbly and did herself proud. We really saw an improvement in confidence and quality of riding. Based in Bridgwater, we are a convenient location for motorcycle training across Somerset, including Burnham-on-Sea. 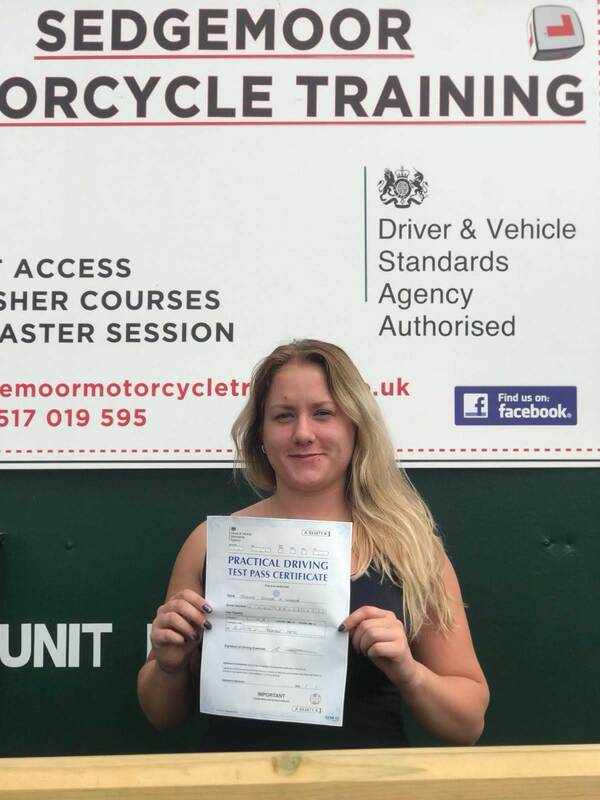 If you are considering motorbike lessons or want to do your test, contact us today! Motorcycle Training in Bridgwater, Somerset. CBT, DAS, A1, A2 Motorbike Training.